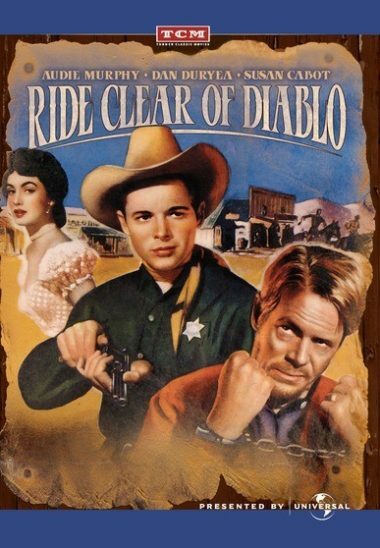 As part of his duplicitous plan to eliminate the remaining OMara heir, Kenyon deputizes Clay and sends him off to capture Whitey Kincade (Dan Duryea), a notorious, trigger-happy outlaw who is suspected of the murders. Instead of killing each other in a shootout, however, Clay and Whitey become worthy adversaries who forge an unlikely alliance in uncovering the truth. Ride Clear of Diablo is a classic revenge western and is enlivened by Dan Duryeas scene-stealing performance as the unrepentant, devil-may-care Whitey and a superior supporting cast that includes Susan Cabot, Russell Johnson, Abbe Lane, Jack Elam and Denver Pyle. 1945 – COLOR – 81 Minutes.